Green Light by Hein Electric Supply is your source for information about lighting technology, new products, updated lighting incentive information, and other industry-related information. Just in time for the Construction Season! Portable task illumination. Available in three popular styles with five foot cord sets and a weathertight switch for use indoors or outdoors. Adjustable fixture heads for aiming after mounting or positioning for tasks. Ordering Information - View a specifications sheet here. Fixtures are in stock while supplies last. Pricing valid until April 30, 2014. Focus on Energy is set to roll out a limited time offer which includes several never before seen incentives. 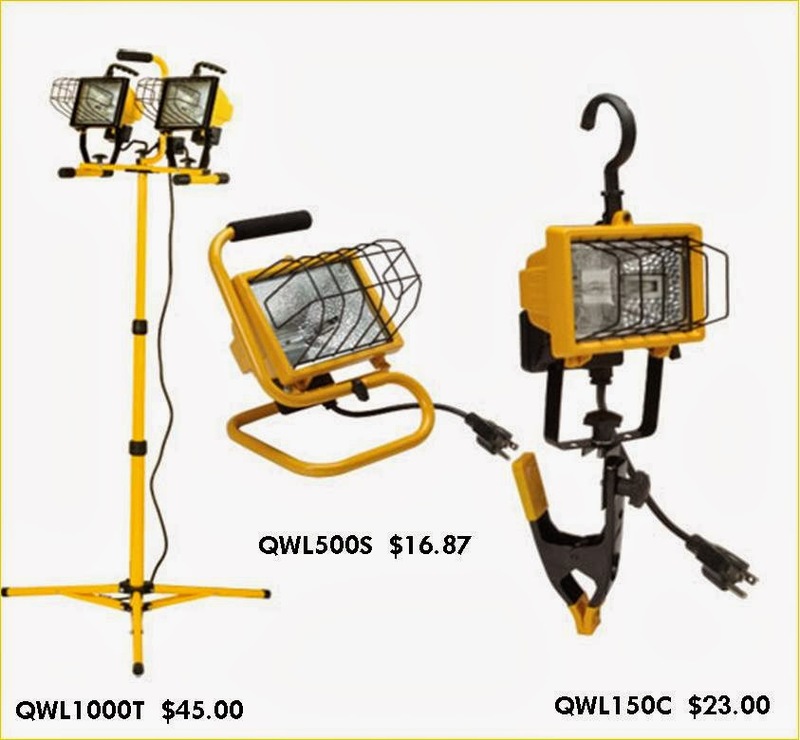 From incentives on 2x2 LED troffers, all the way up to a $150 incentive to replace 1000 watt HID pole mounted heads, there’s sure to be something for everyone. Two offerings to pay special attention to are the $30 per fixture incentive to install qualifying 2x4 LED troffers, as well as the $40 per fixture incentive to replace existing 6-lamp T8 high bays with qualifying LED fixtures. With savings this big, projects are sure to see a faster return on investment. Special incentives are good from April 1st to November 30th. Click here for full details.